There are currently 95,239 users on this website. 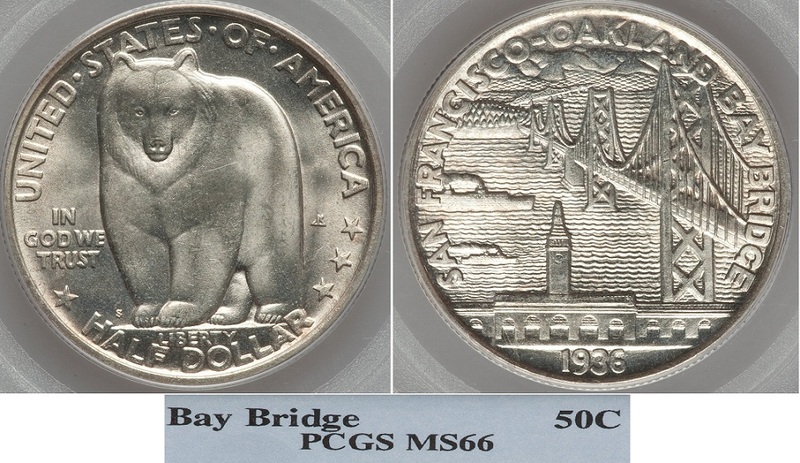 I am trying to find more information on 1936 Bay Bridge commem. In particular, some books on the classic commems mention (copying from each other) that a model for obverse has been a grizzly bear "Monarch II". However, there are no details and it is not clear what the original source of this info is. It is possible to find a lot about the famous grizzly bear "Monarch" but nothing on "Monarch II". I would be grateful for any useful links or other information, thanks. That is a nice frosty example you have SVI. It took 1.17 seconds to rattle this change.